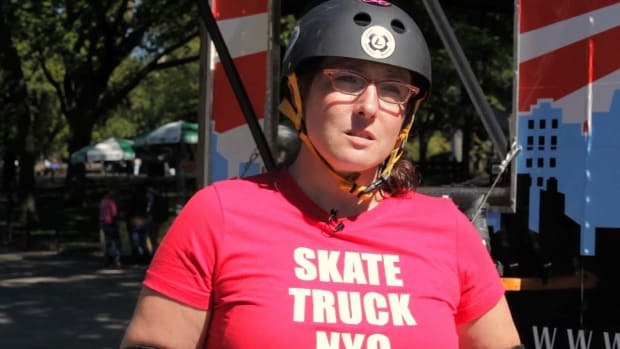 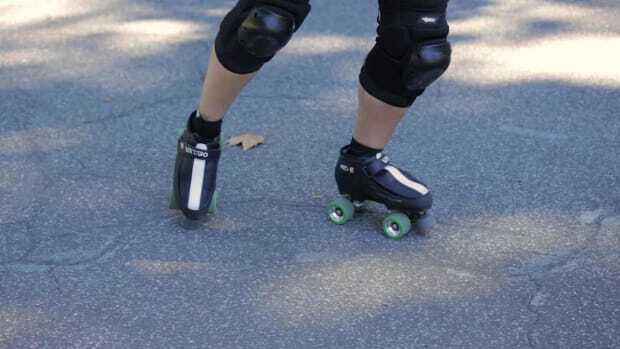 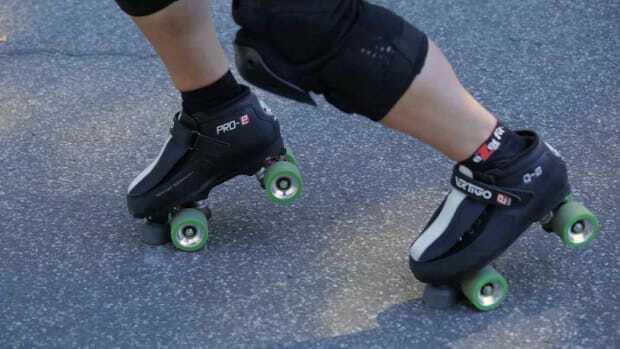 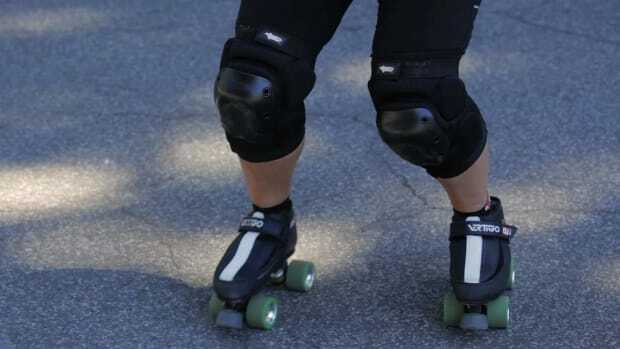 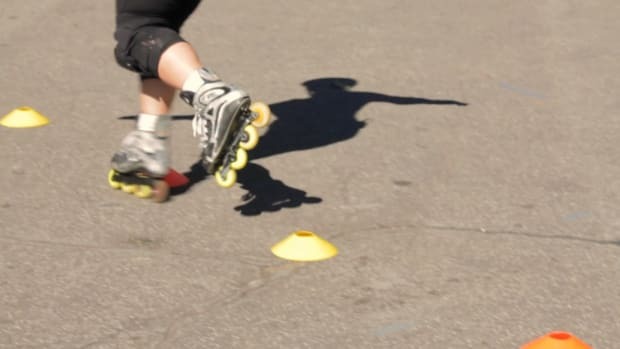 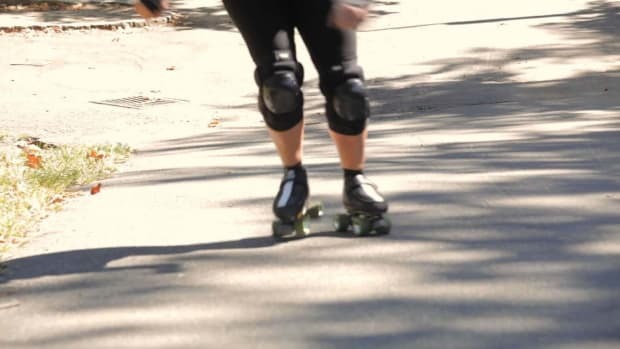 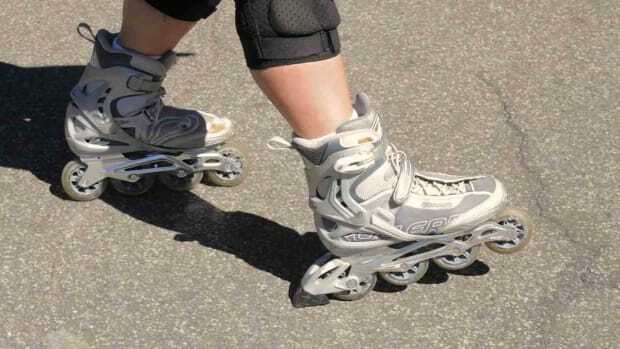 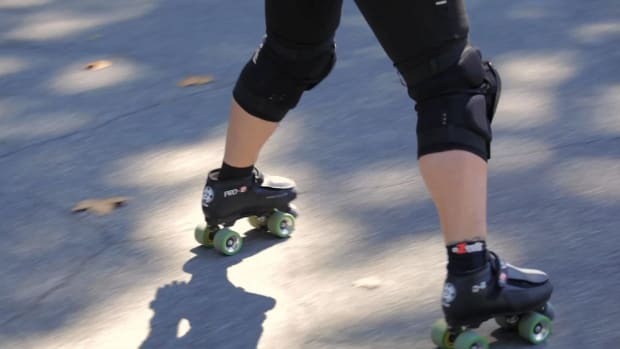 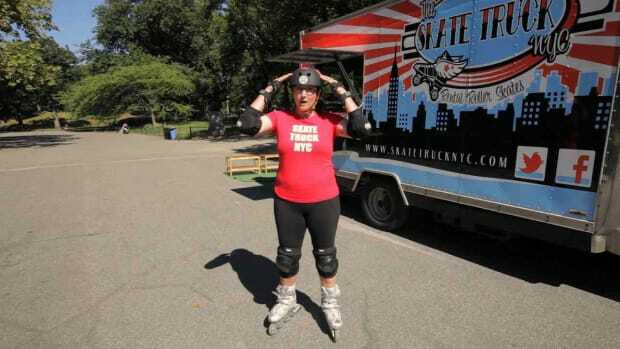 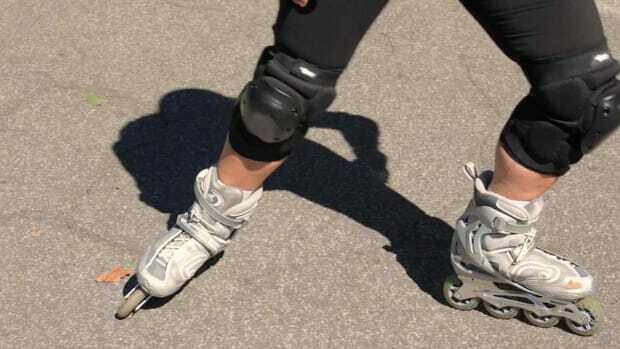 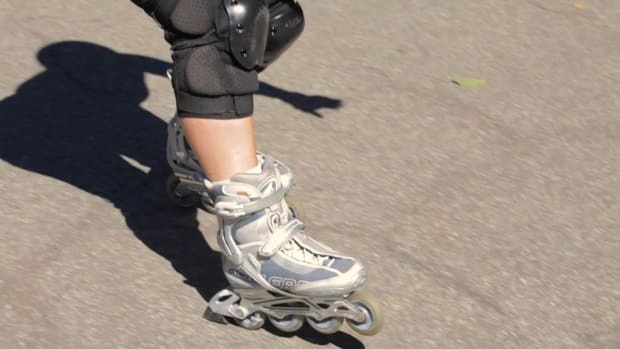 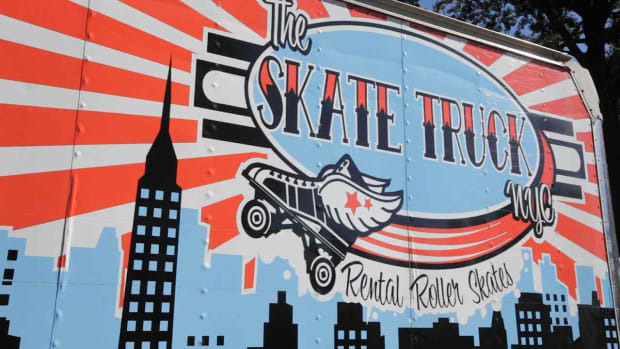 Learn how to do a mohawk turn on roller skates from former World Champion speed skater Gypsy Lucas in this Howcast video. 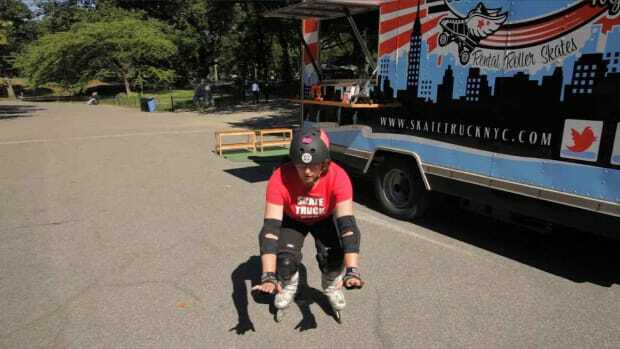 So, right now I&apos;m going to show you how to do a Mohawk turn. 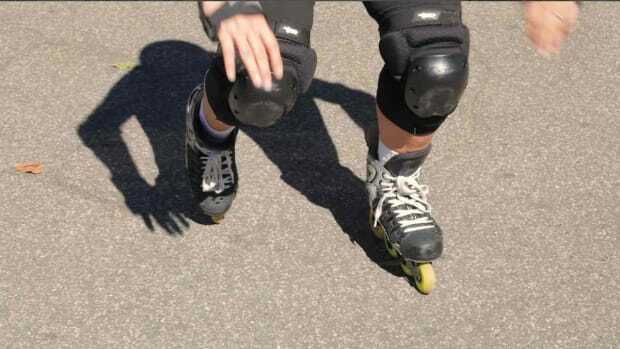 Mohawk turn is leaning forwards on one foot, opening your hips and then, turning backwards. 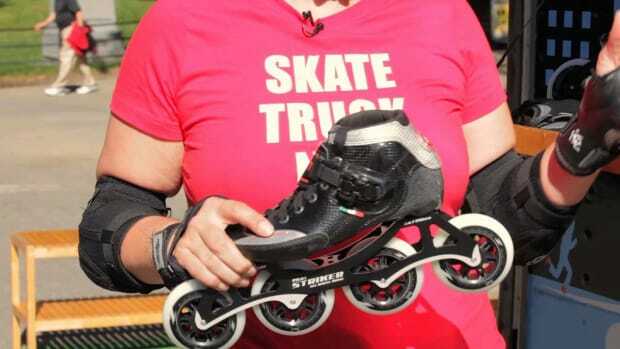 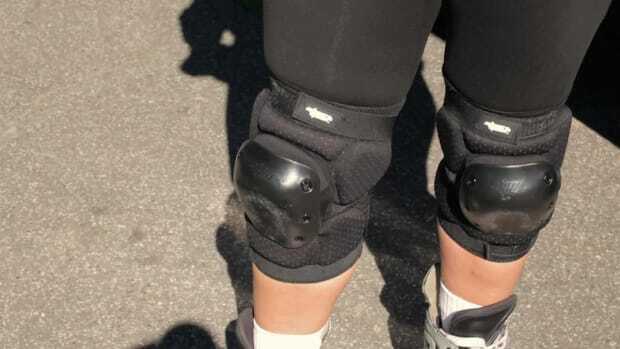 It&apos;s very good in roller derby. 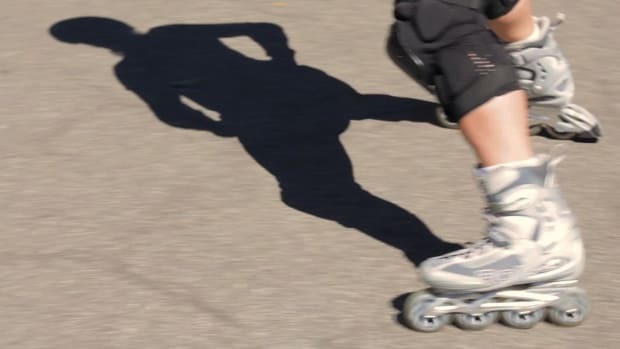 It&apos;s good when you&apos;re skating out in the streets so you can avoid potholes, things like that. 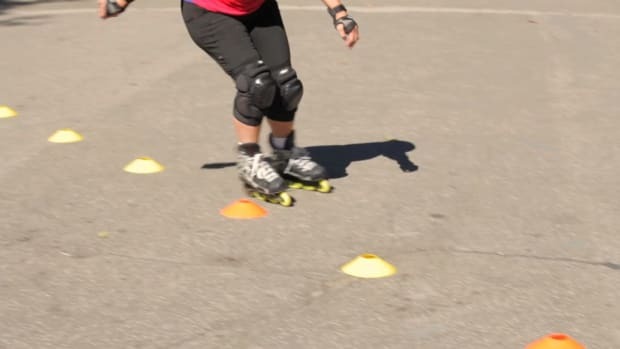 So, basically, when you start, you can start it in a standing position and just practice turning from forward to backward, bending your knees and then, opening your hips and then, closing your hips. 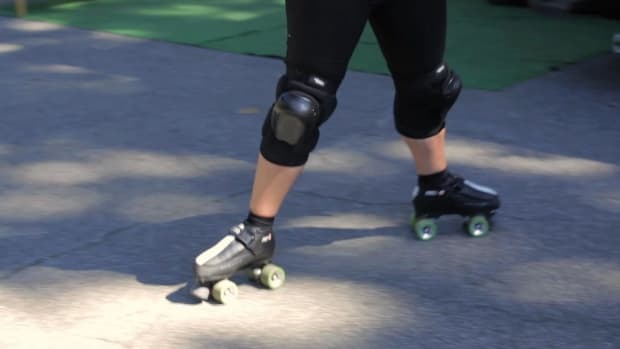 So, as your rolling, it&apos;s real important to be able to stand on one foot. 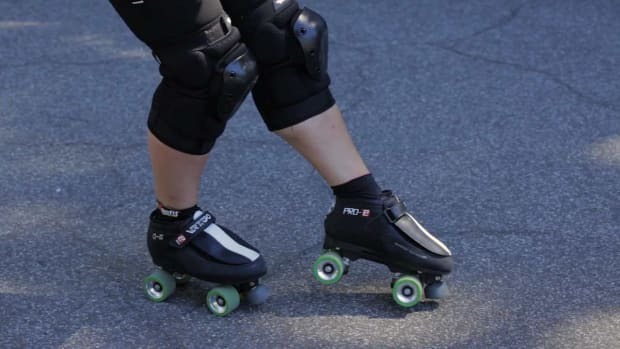 So, you&apos;ll skate, push on one foot, open and then, close. 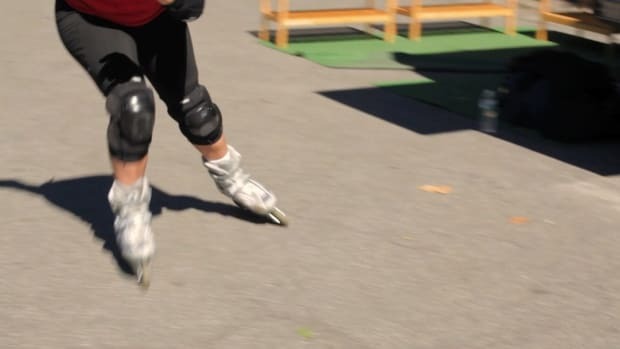 So, skating forward, balancing on two feet, opening and then, closing. 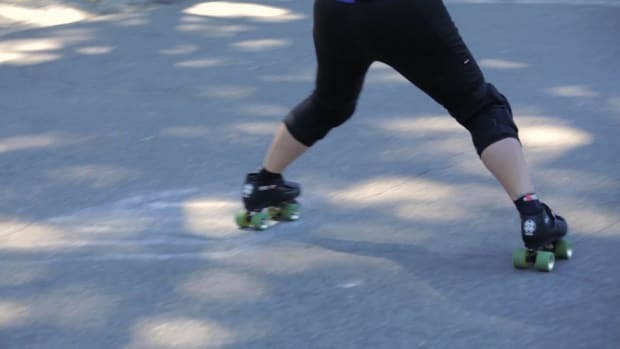 And it&apos;s real important just to keep your body engaged so you can get to that spread eagle position here and then be able to transfer your weight to your back foot and then close your feet back together. 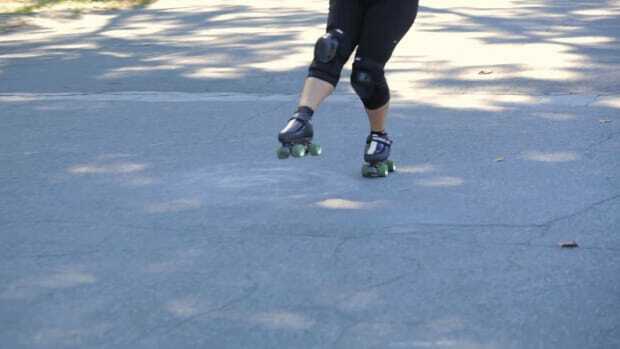 That is a Mohawk turn.